Starting university in a new country can pose many questions. Here we've compiled a list of the most commonly asked questions that we receive from students, so you can find the information you need. If the following responses still don't answer your questions, you can contact us via the Email our team tab. What degree can I pursue after completing the Vantage One program? UBC Vantage College offers four different degree streams – Applied Science (Engineering), Arts, Science, and Management. Each program comprises the first year of study of a UBC Bachelor in their respective faculties (e.g. Bachelor of Applied Science, Bachelor of Arts, Bachelor of Management, Bachelor of Science). Can I apply if I already have a degree from another institution? The Vantage One program is intended for students entering directly from high school, so the program is not ideal for students already with a degree. However, you can apply to UBC as a transfer student. Can I apply for the Vantage One Program as an international student, even if I graduated from a Canadian or English-speaking high school? Your eligibility depends on the amount of time you have studied full time in English curriculum. If you meet UBC’s minimum English Language Admission Standard, you are eligible to apply to one of UBC's numerous direct entry programs. If I studied in Canada as an international student in high school, do I need to apply for a study permit? Every study permit has an expiration date, and you must renew it before it expires if you’re planning to study in Canada past your study permit’s expiration date. Study permits can only be renewed from inside Canada. Please view UBC’s study permit information here. What if I do not require English language support? You may apply directly to UBC programs. Vantage One is reserved for students requiring additional language development alongside their degree courses. However, if you are not eligible for Vantage One but would like to develop your English language skills, UBC Extended Learning offers classes in English for Academic Purposes. 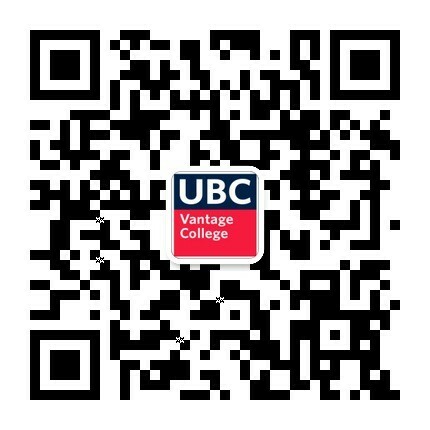 Does UBC's Vantage One program have a January intake? Our 11-month program begins in mid August and students are unable to join in January. What is a 'Personal Profile', and do I need to create one? A Personal Profile is a section of UBC’s application. The Personal Profile gives you the opportunity to tell UBC about the things that are important to you, your significant achievements, what you’ve learned from your experiences, and the challenges that you’ve overcome. If you apply to the Vantage Program for BOTH your first and second choices, then you DO NOT need to complete a Personal Profile. If you select a direct entry program for EITHER of your two choices, you will be automatically required to submit the Personal Profile. Are there scholarships? How do I apply for one? Yes! UBC Vantage College offers a Vantage One Entrance Award, an International Major Entrance Scholarship (IMES) for Vantage One, and a Vantage One Excellence Award each year. To view eligibility requirements and for instructions on how to apply, please visit our Scholarships and Awards page. Here you will also find the deadlines to apply for each of the scholarships. I've applied to the Vantage One program, now what do I do? Within a few weeks of receiving your application, we’ll send you an email to tell you which supporting documents to submit, such as test scores or academic transcripts. Please submit your supporting documents by March 15th, 2019. In addition to looking out for our emails, also log into UBC's Student Service Centre to keep up to date on your application status. May 1, 2019 is the deadline to accept your offer. For more information on the next steps, visit our next steps page. What are the requirements to successfully complete the Vantage One Program? UBC Vantage College students in the Arts stream who pass all courses with an average of at least 60% will be eligible for year two of the B.A. degree program. UBC Vantage College students who pass all courses in the Engineering stream with an average of at least 60% will be eligible for year two of the B.A.Sc. degree program. UBC Vantage College students in the Management stream who pass all courses with an average of at least 60% and who achieve at least 60% in WRDS 150 will be eligible for year two of the B.Mgt. degree program offered at UBC Okanagan. UBC Vantage College students who pass all courses in any Science stream with an average of at least 60% will be eligible for year two of the B.Sc. degree program. Students who do not meet these requirements for transition into the second year will be assessed on a case basis, where there is evidence of academic promise for continued study in their chosen degree program, and may be eligible to progress. I applied for one Vantage program, but now I want to switch to another stream. Can I do that? Due to limited spaces, we cannot accommodate program changes after you have accepted your Vantage offer. If you wish to switch streams, you must apply as soon as possible, before you have accepted. What specializations can I pursue after the Vantage One Arts program? In the Arts stream, you have a lot of flexibility. As most majors in Arts do not declare their concentration until the end of second year, you have time to discover what interests you. Programs have different requirements, and some Arts majors require you to formally apply before you are admitted into the program. Will all of my Vantage classes count towards my Bachelor of Arts (BA)? You will complete a total of 36 credits at Vantage College; 30 of these credits will count towards your BA. LLED 200 and VANT 140 are non-degree credits; however, both are required to complete the Vantage program and paramount towards your success in year 2. Can I complete the Vantage program and my BA in four years? The duration of your degree completion all depends on how you plan your courses. Depending on the BA specialization you are interested in, it is possible to complete your BA in four years. The degree completion timeline can vary depending on the program you are interested in and/or the number of credits you are registered for each year. The key is to stay connected with your academic advisor and work together on degree and course planning. Am I able to select summer courses outside of the Vantage program? With permission of the College, students may take up to 6 credits of 100-level UBC coursework not included in the 11-month International Program. Approvals are granted on a case-by-case basis when there are signs of academic capacity. I have done IB, AP, or A-level courses. Will any of these count as “advance credit”? Can I modify my Vantage Standard Timetable? Vantage College offers a fixed program with a Standard Timetable (STT). Courses cannot be added or dropped from the STT. You must complete all of the courses in order to successfully complete the program and progress to the Faculty of Arts. Once you are closer to completing the Vantage program, we encourage you to meet with your academic advisor to discuss course planning for year 2. What grades do I need to progress into second year? What specializations can I pursue after the Vantage One Applied Science (Engineering) program? The Applied Science (Engineering) stream includes foundational engineering, chemistry, math, and physics. How many credits will I be taking in the Vantage Applied Science program? Students will complete a total of 42 credits in the Vantage APSC program — 31 of those credits are transferable to the Faculty of Applied Science. What courses am I missing from UBC's direct entry first year Applied Science program? The Vantage One Bachelor of Applied Science is not equivalent to the direct entry BASc first year program. Therefore, while successful completion of the Vantage engineering program will result in eligibility for second year standing, there are program requirements normally completed in first year that will not have been met and that must be completed prior to graduation. The first year courses you will need to complete before graduation will depend on which UBC campus (Vancouver or Okanagan) you complete your degree at after the Vantage One program. This can be taken at any time during your program. You will need a total of six credits of Humanities as part of your BASc program (but only three credits from the BASc first year curriculum). How does Vantage determine where Applied Science (APSC) students get placed and in what program? Near the end of first year (usually in May), students are asked to fill in a second year placement form. The Faculty of Applied Science uses your first year average and your personal statement to determine which program you will be placed in. The process is competitive, as there is limited space in many specializations. However, all students achieving 60% and passing all courses will be guaranteed a placement in second year. If you are placed in a UBC Okanagan program, your program will take place in the city of Kelowna, BC. If you are placed in the Environmental program, your program will take place in the city of Prince George, BC. Do all the courses I take in the Vantage One APSC program count towards my GPA? Yes, all the courses you take in the Vantage One APSC program will be counted towards your GPA. Will I need to complete the LPI test? You will not be required to take the LPI test to meet communication requirements once you have successfully completed the APSC 176 course in Vantage's engineering program. Upon successful completion of APSC 176, you will have the pre-requisites to take APSC 201 in second year. Once you complete APSC 201 in your academic studies, you will have met the communication requirements for UBC's Engineering program. Are classes only offered at UBC's Okanagan campus for the summer term? Yes, Vantage students will have the opportunity to study and experience an intimate learning community at UBC's Okanagan campus. The Okanagan campus has earned a reputation as an important, respected center of learning and research, enhancing knowledge and innovation in our region, as well as internationally. How many Vantage students will be placed at UBC's Okanagan campus, compared to the Vancouver campus in second year? The Faculty has reserved space for all Vantage One Bachelor of Applied Science students to be able to transition to a second year program. Half of the students progressing to year 2 will be placed at the Okanagan campus, and the other half will be placed at the Vancouver campus. What specializations can I pursue after the Vantage One Management program? Students are also able to choose Minors in Economics, Psychology, and Sociology. Can I switch to the UBC Sauder School of Business after completing the Vantage One Management curriculum? No, you cannot transfer directly into Commerce at UBCV (UBC Sauder School of Business). Students hoping to enter Commerce in second year require ECON 101, ECON 102, MATH 104 (or equivalent), ENGL 112 (or equivalent). Vantage Management students do not take first year math, thus they are missing a requirement to apply for a transfer. Students can take the required courses at a later date and transfer at that time. However, this will likely result in your degree taking longer to complete. What is the difference between a Bachelor of Management and a Bachelor of Commerce? A Bachelor of Management is a specific type of business degree that focuses on leadership, management, and business organization. It includes the central areas of finance, accounting, marketing, entrepreneurship, and human resources – all of which are necessary for business leadership. The UBCO Faculty of Management believes that management is about people, and about empowering diverse groups and organizations to succeed together in a rapidly changing world. A Bachelor of Commerce tends to offer students more specialized education in one of the core business areas (finance, accounting, etc.). I know that UBC has two campuses. Where will I be studying? In your first academic year you will be studying in Vancouver for your first two terms (September to April). The third term of your first year will be in the Okanagan (May to July). Years two, three, and four are at UBC Okanagan. Will I be able to visit UBC Okanagan before I begin studying there in year two? Yes. UBC Vantage Management students will travel to the UBCO campus during the winter. Students will be able to explore the campus, meet faculty and students, and learn about the city of Kelowna. Additionally, Vantage One Management students take their summer term courses (May-July) at the UBCO campus. This is a great way to prepare for living in Kelowna in year two. I would like to remain in Vancouver after year one. Is that possible? The Vantage One Management Program is designed for students to proceed into the UBC Okanagan Faculty of Management in year two. If you are pursuing your Bachelor of Management degree, you can only do that at UBCO. Students who do not wish to pursue their Management degree may apply to change degrees (and study in a different faculty at UBC Okanagan or UBC Vancouver). You can learn more by visiting the UBC Vancouver Academic Calendar or speaking to your academic advisor. Is there a difference between a UBCO degree and a UBCV degree? The only difference between a degree from UBCO and UBCV is that one says, “Kelowna, Canada” on it and the other says, “Vancouver, Canada.” Other than that, the degrees are the same. They come from the same outstanding university with the same exceptional international rankings and reputation. What specializations can I pursue after the Vantage One Science program? As part of the Science stream, students have a choice of taking a computational science or physical science elective. Depending on your electives chosen, you will be eligible for different science majors at the end of your first year. I want to take Biology as a specialization, can I do this at Vantage? Biology is not part of the Vantage One Science program, but students can take prerequisite Biology courses in second year, then transfer to Biology in third year at UBC. This may postpone your graduation date by up to a year, although it might be possible to complete in four-and-a-half years. This means you would need to select a major that doesn’t require Biology as a prerequisite for your second year specialization, before transferring at the end of the academic year (i.e. not in January). Please note that due to demand, Biologically-oriented programs generally require a higher average for admission. When do I have to decide on my science major? You don't have to choose your science major until the end of your first year at UBC, at the end of the Vantage One program. If you're having trouble deciding, make an appointment to see your academic advisor. When do I choose my electives in science? There will be an information session in October to help you figure out your electives for Term 2 and Term 3. The elective options are CPSC 110, CPSC 121, CPSC 103, CHEM 123, PHYS 118 and 119, EOSC 110. I'm not interested in Biology, do I still have to do it? Yes, before you graduate from UBC you will need to take either a Biology or a Biologically-related course. I have heard of the LPI. Am I going to have to take it? There are certain ways to be exempted, which you can discuss with your advisor at some point during your first year. Be aware that the TOEFL/IELTS tests do not exempt you from taking the LPI. However you don’t have to take it before you start, nor in your first two terms.